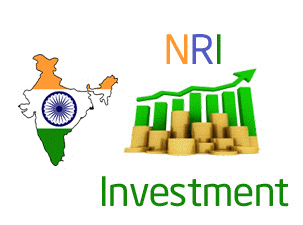 Investments by NRIs are a matter of continual interest and debate, particularly when it comes to property in India. There is an aura of complexity pervading property investments made by NRIs in India. It is important to understand that Non-Resident Indians can also include OCI (Overseas Citizenship of India) and PIO (Person of Indian Origin) category investors. There are some well-defined property rules for NRIs in India that one should be aware about in this context. The RBI (Reserve Bank of India) has granted its general assent to NRIs for buying immovable properties in the country minus the availing of any particular permission. Indian citizens who are NRIs can easily buy immovable property under FEMA in the country. While there are key rules for NRI buying property in India, the RBI directive is a welcome relief and foreign exchange laws have also changed under FEMA. Investing in the Indian real estate market still makes sense for several NRIs since many of them wish to settle down here after retirement. As an investment too, experts state that ticket sizes offer more viability for investors as compared to many global markets. For instance, average prices of 2/3 BHK apartments in even metro cities can be around Rs.60 lakh or close to $85,000 which is quite viable and a stronger rupee will equate to $100,000 at the most. This makes investing in Indian property a really attractive proposition. Returns are another factor worth keeping in mind. Returns on realty investments are fluctuating but even if they are moderate, NRIs can certainly expect anything between 5-10% appreciation over a period of time if not more. 7-8% appreciation can be annually had over an investment period of 10 years in many cases. From a long-term perspective, it does make sense for NRIs to invest in the Indian real estate market. RBI has granted permission to NRIs for buying immovable property in India but this does not grant the right to purchase any type of property here. NRIs can only buy residential or commercial property and cannot buy plantation land or agricultural property without prior permission. NRIs cannot buy farmhouses in India as well. As long as the investment is being made in residential or in commercial property, NRIs need not inform the RBI about these property deals even after they are concluded successfully. There are no limits on the number of residential or commercial properties that NRIs can purchase. Payments for buying property by NRIs can only be made through remittance through foreign banking channels or from the money which is kept in the NRO/NRE or FCNR account. The money required to purchase the property in question has to be derived through proper banking channels. As a result, payments cannot be made via foreign currency or traveller’s cheques. Home loans can be taken by NRIs for funding their property purchase in Indian rupees as well. Home loans can be granted by the Indian employer of the NRI individual for buying the immovable property in question. The home loan should be taken in Indian rupees and with regard to repayment of EMIs for the same, this can be done either via direct foreign remittances or even from money which is credited to NRE/NRO or FCNR accounts of the NRI. Also, the home loan can be serviced easily in case there are rentals received from the property in question. This can be used to service the EMIs or even the money which is transferred to the account of the borrower by the relatives of the borrower from their accounts. If the NRI is purchasing property for self-occupation, loan against deposits in NRE/FNCR accounts can be taken up to Rs. 100 lakhs. Properties that will be purchased by NRIs can be bought in the name of a single person or jointly with another NRI. However, it should be kept in mind that resident Indians or persons otherwise not eligible to invest in the property, cannot be joint owners of the same. They cannot be made joint owners even though the second named individual may not be contributing any amount for the property in question. There are several individuals who are accepting jobs located outside the country and since they will become NRIs, they naturally remain anxious about ownership aspects of properties that they own already. There is nothing to worry in this case. Any individual who owns a property in India when becoming an NRI, can easily hold the property in his/her name in the future as well. Resident Indians becoming NRIs are legally allowed to hold farm houses, plantation properties or agricultural in their names which is otherwise not possible for NRIs who are freshly investing in India. NRIs can also let out properties owned when they became NRIs without getting any permission beforehand from the Reserve Bank of India (RBI). NRIs can also get the rentals received dispatched abroad post the payment of taxes and other liabilities. These are the 5 key rules to keep in mind for NRIs who are investing in property in India. « Why buy property in Pirangut, Pune?